"...we deal with a mythology which even at its height was denounced on rational and empirical grounds and is clearly nonsense. Why then, were such ideas effective? Why are books embodying them still finding audiences?" All these fears rest on simplifying, dramatising visions of politics. In the background there is still a belief in hidden manipulation. Those who hold them have abandoned some of the stage machinery, but the plot is the same." "All human institutions can be described in terms of function, mythologies as much as any other. They are all responses to a need to master reality." At least one edition included a glossary of terms and phrases. including a definition for "Forces of Evil" which also defined Carrs personal perspective: "Every person who thinks and acts contrary to the Commandments of God and the teachings of His Divine Son Jesus Christ. As Christ said : 'He who is not with me is against me'. There can be no compromise between 'Good' and 'Evil' forces." The antisemitic Noontide Press distributed Pawns in the Game for many years. He claims that "The Holy Scriptures mention Lucifer only a few times Isa. 14; Luke 10:18; Rev. 9:1-11" [p. xviii] but neglects to mention that Luke refers to Satan, not Lucifer, and Revelation refers to a falling star without any name. Carr pushes the creation date of the debunked fraud The Protocols of the Learned Elders of Zion back to before the founding of the Bavarian Illuminati. He may have taken his lead from the introduction to Victor E. Marsdens English translation of the Protocolswhere he writes under the heading 'A Fifteenth Century "Protocol"': "Here is one from the Fifteenth Century which Jews can hardly pronounce a forgery, seeing that it is taken from a Rothschild journal." This appears at the bottom of page 7 but when the reader turns to page 8, there is a new headline and a unrelated topic. "This matter is referred to later, when the intrigue leading up to the abdication of King Edward VIII is explained. [on page 157] The translation Mr. Victor Marsden made of The Jewish Peril. was published by The Britons Publishing Society, London, England, under the title The Protocols of the Learned Elders of Zion in 1921." "It appears logical to say that the discovery of the later document confirms the existence of the earlier one." [p. 31] Carrs definition of logic is a logical fallacy. Without citing any specific document, Carr erroneously claims that papers found on a courier struck by lightning in 1785 while passing through Ratisbon from the "Jewish Illuminati" in Frankfort to Duc D'Orleans, are the source of his claim. "The documents he carried fell into the hands of the police who turned them over to the Bavarian government. A record of historical events told in chronological order connects the House of Rothschild with the Jewish Illuminati in Frankfort and the Illuminati within Free Masonry known as the Grand Orient Lodges as will be shown." [p. 32] Carr fails to show anything but only makes unfounded claims. Carr cites the self-serving and politically inspired book, The Spanish Arena by William Foss and Cecil Gerahty, The Right Book Club, London: 1939. for the details it ascribes to Grand Orient intrigue in France and Spain from 1923 to 1939. Carr further claims the USA civil war was an attempt by illuminati leader Rothschild to establish economic control and that Lincoln was killed by Booth, a Jew, who was in contact with international bankers: this is proven by a coded message found in Booths effects. Carr quotes the Sept. 16, 1912 Revue Internationale des Societes Secretes ed. by M. Jouin p. 787-788: with reference to the future assassination of Ferdinand on June 28, 1914. He provides the following quote without citation, claiming that on October 12, 1914, the president of the military court [in Serajevo] questioned Cabrinovic, who threw the first bomb at the Archdukes car. The President : "Tell me something more about the motives. Did you know, before deciding to attempt the assassination, that Tankosic and Ciganovic were Freemasons? Had the fact that you and they were Freemasons an influence on your resolve? The President : "Did you receive from them the mission to carry out the assassination?" Not recognizing the long history of antisemitism, Carr claims that the antisemitic movement started in England early in 1921, after Mr. Victor E. Marsen returned from Russia where he had been imprisoned by the Bolsheviks. Mr. Marsen had been correspondent in Russia for the London Morning Post since before 1914. "Following the publication of the book, by the Britons Publishing Society, Mr. Marsden was denounced internationally as a bare faced anti-Semitic liar. The book caused one of the greatest controversies the world has ever known. My own research work has caused me to believe that the documents published by Professor Nilus in Russia in 1905 as "The Jewish Peril", and by Mr. Marsden in England in 1921 as "The Protocols of the Learned Elders of Zion", are the Long range Plan of the Illuminati which was explained by Amschel Rothschild to his associates in Frankfort in 1773 as recorded in Chapter 3 of this book." [p. 157] Carr fails to document his "research". In 1945 James V. Forrestal attempted to convince Roosevelt that the American banks were closely affiliated with international bankers and that they were the Illuminati and were responsible for the outbreak of two world wars. This is detailed in Forrestal Diaries, Viking Press, New York: 1951. 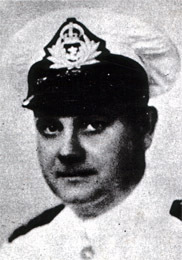 Although Forrestal committed suicide, Carr suggests he was murdered. While exempting mainstream Freemasonry and the greater number of Jews from his claims, unfortunately he does so in footnotes and oblique asides that can be overlooked in the onslaught of accusations. Carr provides no documentation but has been widely quoted by later conspiracy theorists5 who would lift accusations out of texts that support their preconceived notions rather than check source documents.